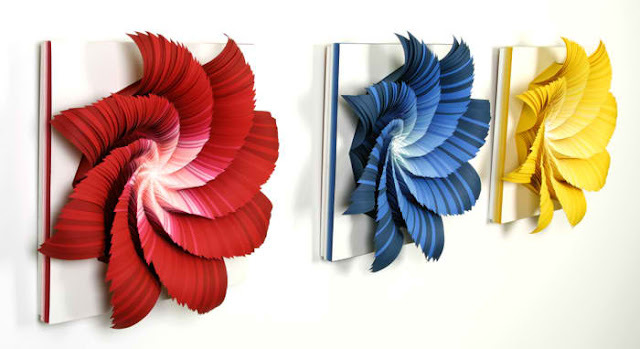 Jen Stark is a contemporary artist whose famous work are impressively paper sculpted. She also works with drawing and animation. Her work draws inspiration from microscopic patterns in nature, wormholes, and sliced anatomy. What a beautiful fan-like sculpture!